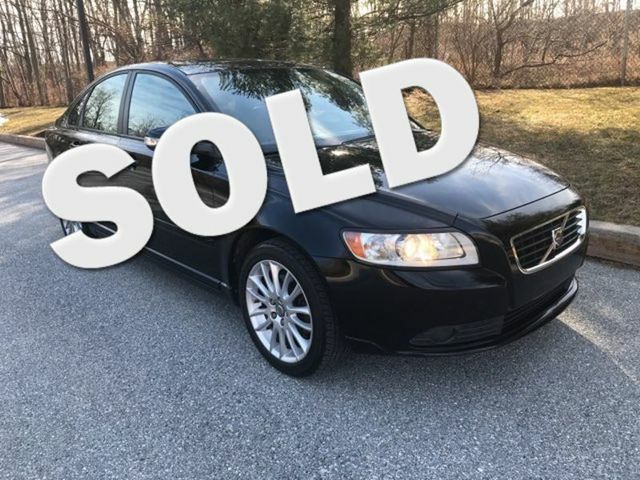 2009 Volvo S40 2.4L | Malvern, PA | Wolfe Automotive Inc.
City: 20 – Hwy: 31	Actual rating will vary with options, driving conditions, habits and vehicle condition. New Timing Belt, New Brakes & Rotors, Fresh 75K Service, Clean CarFax, S40 powered by the efficient 2.4L 168hp DOHC 20-Valve 5-Cylinder Engine. Serviced by the Wolfe Automotive Team using all necessary items to complete our Certified Reconditioning Process. Equipped with Delaro T-Tec Interior, DSTC (Dynamic Stability & Traction Control), Climate Package, Auxilary Input, Bluetooth, Moonroof, Fog Lamps and Geartronic Automatic Transmssion. Respected Volvo Safety Features found in the nimble S40 include Driver/front passenger whiplash protection seating system (WHIPS), 4-wheel anti-lock braking system (ABS) -inc: electronic brake distribution (EBD), emergency brake assist (EBA) and Tire pressure monitoring system.